How was Sunday Dinner for Suga at The Terra Nova for Restaurant Week (Epicurean)?! Last Sunday at 6:30pm, I had Dinner at The Terrace, Terra Nova All Suite Hotel. The Terrace is in the Epicurean category ($4300JMD) for Restaurant Week and my husband, Randy and I were looking forward to having sumptuous dishes. We had a great start with the Appetizers. I preferred the Seafood Medley. We both had the Lobster Bisque to follow, which was rich Lobster Soup, finished with cream and Brandy. I appreciated that the Soup was not salty. It was rich indeed and tasty. Apart from a long wait before the Entrees, service was smooth. When we were waiting a little bit more than half an hour with no update on the arrival of the Entrees, a waiter caught my eye looking around and said that our Entrees were coming out shortly and they did. Besides that hiccup, the staff were cordial and quite attentive. The food was sumptuous as expected too. Terra Nova Petit Fillet – Petit prime Filet Mignon grilled, topped with Shrimp and Blue Mussel scampi with Scallop Potato and roasted Vegetable. With the above salivating description of a Surf n’ Turf, I think they could have served more than a single Shrimp and Mussel. Props to the Chef though, because that cut of meat was perfection and cooked to order, medium rare, exactly how we like it. Same goes for the Lamb Chops! No disappointment there, because Terra Nova is known to have the best on the island. I thoroughly enjoyed those portions. Dessert was decadent and quite a delightful ending to our Sunday Dinner. Dessert served at The Terrace, Terra Nova All Suite Hotel last Sunday, November 12, 2017. The three courses with the addition of a beverage, service charge and G.C.T came to about $6000JMD per person. The Terrace at the Terra Nova All Suite Hotel was definitely value for money and is Suga Endorsed for Restaurant Week. There are still three nights left for Restaurant Week and it may not be too late to make those Reservations! Location: 17 Waterloo Road. Kgn. 10. Last Friday night, Mrs. Hussey seemed to be out a bit too late, seated close to the terrace outside of the Regency Bar and Lounge. The recruited, foreign bartender, Thomas’s eyes were peeled supervising the bar, back and forth. Staff including doormen were being monitored closely and it was said that even the DJ was instructed not to play Dancehall, but strictly EDM (Electronic Dance Music) and Soca. Suga smelled the rat that they would soon be filtering crowd access to the ‘high profile’ Bar and Lounge that was ‘high-profile’ no more after hours. The Regency Bar and Lounge sent an advisory email out today to Loyalty card members, Frequent guests and Business partners. They stated that from 9pm until closing time, access to the Regency Bar and Lounge will be limited to only those who were addressed in the notification and their friends. They say it has always been their top objective to provide quality service to all guests, while ensuring that those who are regulars access at all times while fulfilling their obligations regarding Capacity regulations, Safety and a Carefree environment. Challenges faced concerning the high demand and popularity of their Friday nights have forced them to review their capacity control polices, thus Friday night access adjustments. The door staff will control access. Suga advises not to head there tonight, elite or not elite, as it may be a bit chaotic upon entry. Care to check out the new spot on Hope Road, 100? Suga hears it is quite pricey for a cue of rum but will check it out soon! TGIF! Enjoy the weekend and Keep reading or Follow Suga Lifestyle! Staff can’t seem to handle waiting tables on a busy night. 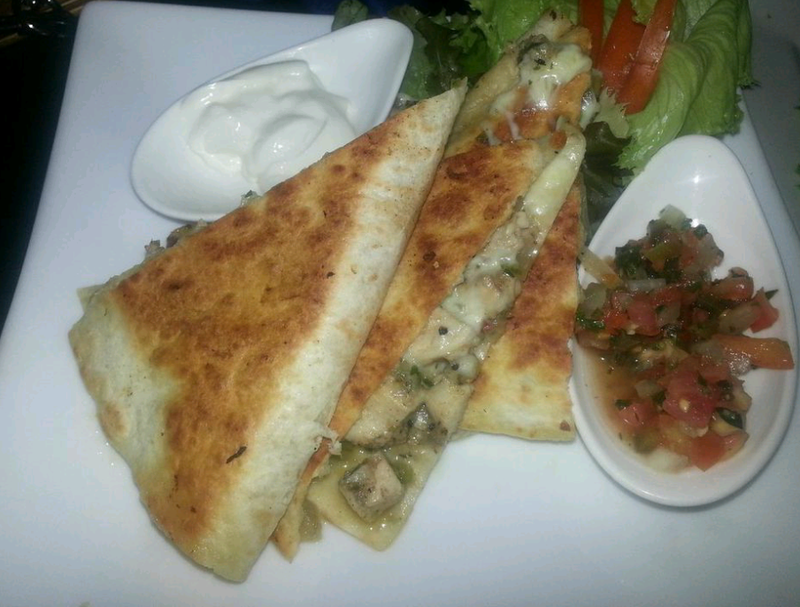 The service was terrible, but the Chicken Quesadillas were lovely with the perfect bit of spicy at The Regency Bar and Lounge last Friday night. The Lobster Mac-n-Cheese is usually very tasty as well. Where to Watch the World Cup Finals in Kingston, Jamaica! The World Cup is quickly coming to an end. Life will soon resume to normality and fans will become more productive at work, especially on Mondays. Disinterested wives or persons will rejoice. However, Sunday is the FINALS, what many have been waiting to see for a month. Who will win the trophy? Germany or Messi? I mean, Argentina. Also, where will you watch it? There is clearly a need for another Sports bar in Kingston, Jamaica. But, lets look at the few options worth mentioning. Forget about Cuddyz and Tracks and Records, poor service and Tracks has topped it off with bad logistics for viewing. Triple Century has been bought out by a company for viewing, not completely sure if it’s for the Finals as well, but if the employees have packed it up all month long, what’s to stop them from doing the same on Sunday. The Liguanea Club Member’s Lounge for Members Only is not so bad, but I doubt they have enough seats for a final and depending on the weather that day, it may be too hot with no AC or fans, since it’s in an open environment. A-Bar is for a younger demographic. Ribbiz will be sure to have a good vibe but falter with quality service in a crowd, which is guaranteed to be there. So it would be best to open doors with them to get a seat. Once you have a seat you should be fine because they have the best logistics when it comes to viewing TVs. 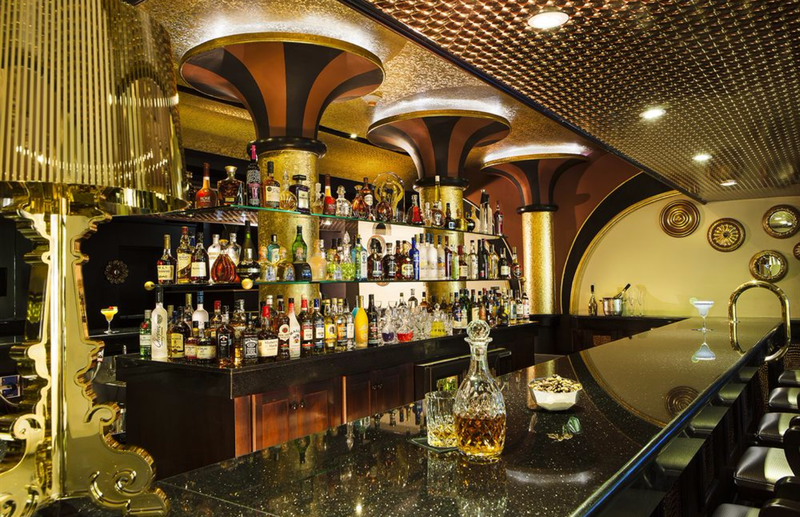 Now the Regency Bar and Lounge at the Terra Nova is a hot spot with great service. However, as for all bars mentioned you would have to reach early, especially since viewing is limited and logistics are not so great. If it is not a good look upon entry, be sure to try their neighbours, Monte Carlo Gaming Lounge, where there should be guaranteed seating and great service but not a great vibe, more on the quiet side, especially if you are looking to avoid raucous fans from another team. So it probably all boils down to two options, The SportsMax Zone at the Chinese Benevolent Association (CBA) on Old Hope Road with a smooth, live, non-CVM feed or a House Viewing Party. The vibe at the CBA is exhilarating, service for both food and drinks at your fingertips, whether its a full house or not, logistics good, Halftime entertainment, games and prizes, but the spoiler is, for the Finals there will be a $1000JMD presold entry fee and $1500JMD charge at the gate. This is probably for crowd control, but I am sure it will be a full house regardless. Is it worth it? Yes, if you camp out from early and get your preferred seat. Otherwise, no. 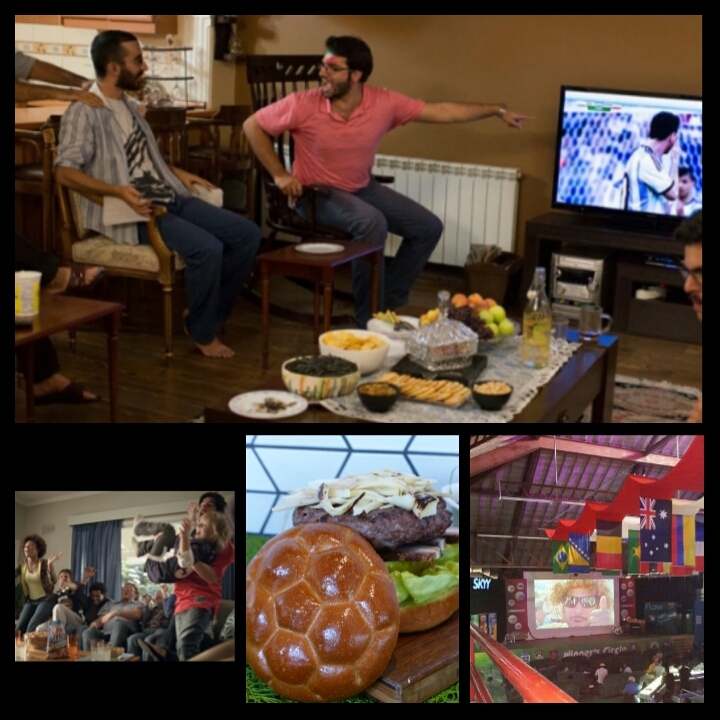 Head over to a friend’s house at your leisure or host your own viewing party. Note that if you copped that World Cup Schedule from Domino’s Pizza, you can get 2-for-1 pizzas from the coupons on the schedule. There is no place better than home. Controlled environment (depending on your friends’ sobriety), with drinks, fun, food and friends. Check out the Recipe option on the Right side bar of http://www.sugalifestyle.com for fun game day recipes for food, snacks and drinks. More to come! Hope SuGa helped make your decision, have a great weekend!